Different is opposite of alike and thus it applies to things that are not alike. It stresses on individuality. Ex – The crime was witnessed by five different people. 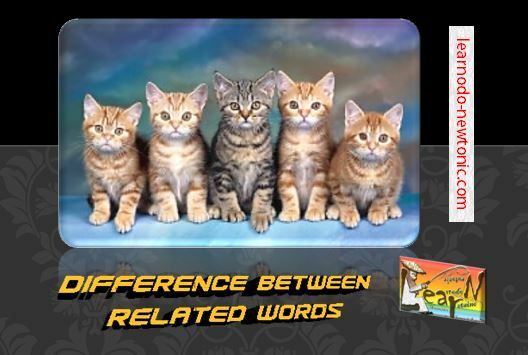 Diverse indicates an easily seen difference between the things being referred to. Ex – He is a man of diverse interests. Divergent suggests that the things are diverging, that is, going in different directions. Thus it indicates a difference which will only increase with time. Ex – As they lived apart their hobbies became divergent. Distinct suggests different identity, although the things might be similar in other ways. Ex – I can easily recognize the distinct smell of those flowers. Dissimilar is opposite of similar and thus it stresses on absence of similarity. Ex – How can you confuse between such dissimilar watches. Disparate stresses absence of any relationship between the things being compared. Ex – While some people say that people are similar, others say that people are disparate. Previous articleWords denoting deficiency or non-existence, absence, dearth, lack, scarcity and shortage.